Biologists at Scripps Institution of Oceanography in La Jolla, Calif., found that at the ocean's surface, sea lion hearts beat roughly 110 times a minute. And as the animals plummet more than 300 feet below, their heart rates plummet, too, to less than 10 beats per minute. At the bottom of deep dives, sea lions slow their heart rates to a crawl, the scientists report in a recent issue of the Journal of Experimental Biology. Without this bit of biological trickery, sea lions (which need air to breathe like all mammals) wouldn't be able to survive underwater. Sea lions' slow-beating hearts help muscles conserve oxygen, the researchers note, and let the animals stay comfortably underwater for about 10 minutes. Humans, on average, can go without breathing for 30 seconds; the human record is about 20 minutes, although this requires potentially dangerous training. 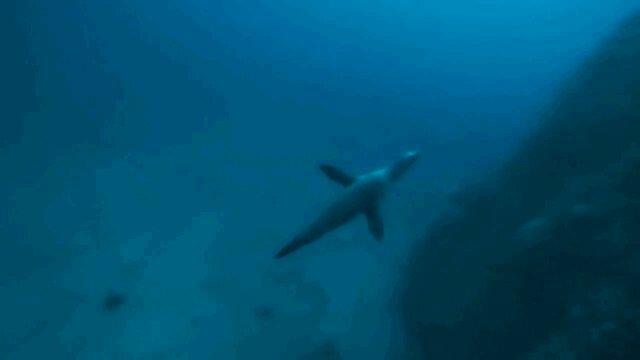 But for sea lions, diving isn't such risky business -- in fact, the animals hunt underwater for minutes at a time in pursuit of fish and squid.